Hello, ladies and gents! Adam here from theHealthBase team with another one of our fully comprehensive guides – this one being focused on the area of nootropics. This particular area is one that is rapidly becoming a mainstay in the world of health and beauty. The reason why I’ve been tasked with this guide is because I personally have been availing of this supplement type for several years now. As such, I have tried and tested all the leading brands as well as doing considerable research into this area. Therefore, I will use this guide to explain everything that I have learnt about this topic. My knowledge has been gained from either my own personal experiences and research, or distilled from people I trust who have also benefited from introducing nutropics into their lives. So, with that said, let’s jump straight in. 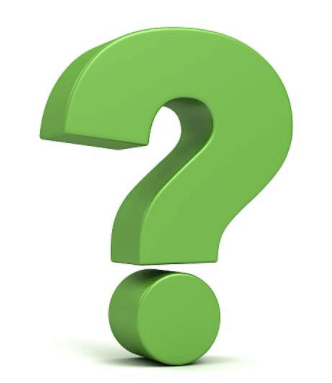 The Key Questions – How Much & How Often? Conclusion – Are They Sticking Around? Before I begin my guide in earnest, I’d like to mention one quick thing. Throughout this piece you will see the same few terms pop up. They are “nootropics”, “nutropic”, “cognitive enhancers”, "brain supplements", and “neuro enhancers”. With regards to the context of this guide, all of these terms mean the same thing. The reason why I’ve chosen to use a variety of terms to describe this one supplement type is the following: brands and companies are forever coming up with new terms to describe a certain product or treatment. Therefore, because of this, these supplements have several names that are commonly used by the top brands, with some brands even using more than one term for a single product. So, to help avoid any confusion, I’ve decided to use the main terms (which I outlined above) in this guide so that you can become accustomed to them. I hope it helps! I thought that I’d begin this guide by explaining exactly what these marvelous supplements are. There are tonnes of people that have never even heard the term nootropic before, and, to be fair, there is still a fair amount of uncertainty and suspicion surrounding this niche. A common query that I come across is how the nootropic pronunciation actually goes. It’s straightforward enough, with the common agreement being that it sounds like “no-oh-tropic”. But what about the origins of these natural cognitive boosters? Where are they derived from? That’s a pretty concise definition, but what about the actual term itself? Well, as is the case with a lot of words in the English language, this term stems from two ancient Greek words – they being nous (mind) and trepein (bend/turn). 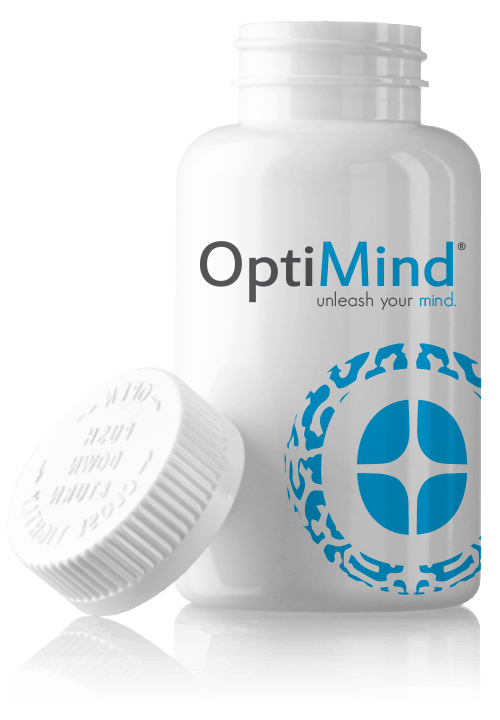 “Mind bending” is probably a bit OTT in describing these supplements but it’s not too far off! If you find the correct options that best suits you then these brain supplements can indeed change your mindset rather dramatically. The term “nootropic” is relatively new with its conception only being derived in 1972 by a man with the name of Corneliu Giurgea. Mr. Giurgea was a Romanian chemist who first gave this name to certain substances that had remarkable effects on the human mind. So, in a nutshell, a cognitive enhancing supplement is a substance that allows the user to have better control over their own mental faculties – something that I’d imagine everyone has a craving for. Why? Because by harnessing such faculties we can then better control our behavior and our output. Essentially, you can maximize your potential as a human being. If you give this some thought, you’ll soon understand the importance. So many people have very little control over such things like their moods or mental energy. They find themselves tired; lacking energy; unmotivated; and just plain peed off! And, a lot of the time, people don’t even understand the reasons behind these negative happenings. This is the biology of the human body taking charge rather than the person themselves. Brain supplements helps you to wrestle back control and is really the first treatment method that allows such an occurrence to happen. Exciting! When it comes to these supplements, a key area of discussion is the scientific element. It’s important to note that the scientific research into this area is very much in its infancy when compared to other areas of health and beauty related niches. However, despite this, there have been leaps and bounds made in recent years which have greatly increased our knowledge of these marvelous natural compounds. A human’s neural system is incredibly complex – to the point that we only understand a tiny bit of what it’s capable of or what it actually does. This means that we won’t know the full benefits of noo-tropics for quite some time. Though, in saying this, we do know enough today to be able to concretely say that these compounds have tremendous potential for boosting different abilities of the human mind. We’ll look at these abilities in more detail in a short bit. To summarize then, there is still a huge amount of work, study, and research needed to be done in this niche in order for the human race to fully benefit from the top neuro enhancers. But, we are most certainly headed in the right direction, proven by the leading brands and the quality of supplements that they are providing. Before I delve into some examples of top rated brain enhancers and the benefits that they can bestow, let’s first look at some common terms that crop up with regard to this topic. This is a phrase that is often used when discussing this topic. In layman terms, neurohacking is when we adjust our nervous system in a very precise manner so as to improve its functionality, or to repair some damage that has been caused. This synthetic compound shares a specific structure known as a pyrrolidone nucleus which works to increase the effectiveness of cholinergic receptors and AMPA glutamate receptors. This has been theorized to help with cognitive abilities. 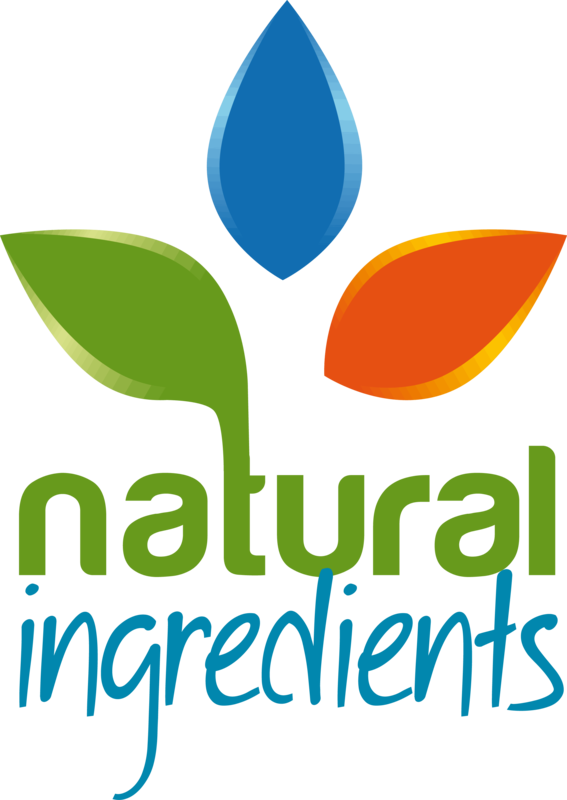 This is a term that is ever present when it comes to nutropics as all the leading brands use it to describe their products. In short, a “stack” is a combination of two or more natural compounds with the aim of greatly improving the effects of all the included elements. This is very prevalent when it comes to the top products as it has been proven without doubt that the best way to get the maximum out of an individual compound is to stack them. This type of compound is known to activate the AMPA glutamate receptors inside the human brain. This has been proven to boost capabilities such as memory functions; learning capabilities; alertness; and concentration levels. This term is often misused by brands or else misunderstood by consumers. It’s easy to think that smart drugs and nutropics are the same thing, but they’re actually not. I’ll explain later on what the differences are. For now, it’s key to understand that a smart drug is not a type of nootropic, but rather a manmade medicinal supplement that can have strong, negative side effects. Below is a quick taste of some of the more prominent options. I’ll explain in greater depth a select few of these later on in this guide. This is obviously quite a key element to understand – it can be a bad move, even a dangerous one, to take supplements or use products without having the first clue of how they actually work! Even the most rudimental understanding is recommended. In layman terms, cognitive supplements work to affect your brain in several ways, including your brain waves; its cellular energy; your hormones; and the cerebral blood waves of your brain. These elements essentially control and dictate how your mind works. All of the above are realistic goals when it comes to taking these supplements. As with every product or treatment, the quality of the item in question will come down to the quality of ingredients used in its creation. This is no different with regard to nootropics ingredients – if the stuff incorporated into the formulaic stage aren’t top notch, then the result will be lacking and inferior in some way. This is a very common substance that is seen as being a relaxation agent for the most part. It inhibits the extroversion capabilities of a person by giving their confidence a boost as well as easing any sense of worry or anxiousness. Helps with: socializing, mood enhancement, sleep quality, motivation, confidence, anti-anxiety, relaxation, focus, memory. A very impactful mood enhancer, tianeptine is famed for being both powerful in the short term as well as possessing long term benefits. This element increases the stability of the mind which will supply so many benefits to a person’s overall mental health. Helps with: vitality, neuroprotection, memory, relaxation, anti-anxiety, mood enhancement. Especially suited for regulating sleep patterns, melatonin takes care of your mental health when you are in your unconscious sate by helping to maximize your sleeping habits. This will have the effect of ensuring that your mental state will be far healthier and more efficient. Helps with: neuroprotection, anti-anxiety, relaxation, vitality, sleep quality. This element metabolizes into the most widely used nutropic. The reason why Adrafinil is so popular is not hard to see as it supplies a whole host of benefits for our mental health and productivity. Such is its proven effectiveness, many professional athletes and even the good people at NASA rely upon it in order for them to maximize their cognitive functions. Helps with: motivation, vitality, neuroprotection, cognition, focus, energy, memory…and space walking, apparently. This a slightly adapted version of another substance, Piracetam. By adding Phenyl, this makes the overall compound, now known as phenylpiracetam, far more powerful and effective. The great thing about this compound is that it supplies a wide variety of benefits as is evident below. Helps with: vitality, socializing, energy, neuroprotection, mood enhancement, memory, fitness, focus, verbal fluency, cognition, motivation. I touched upon this particular one in the previous paragraph. While phenylpiracetam is seen as being an improvement, Piracetam is still viewed in the industry as a valuable addition. Known as the original nutropic, Piracetam has proven its effectiveness time and time again in many case studies. Helps with: neuroprotection, cognition, memory, focus, motivation, energy, verbal fluency, mood enhancement, socializing, vitality. This one specializes in the creation and proliferation of new neurons. This is massively beneficial in aiding your mental capabilities and functions to reach their optimum levels. A key reason why this Noopept is so popular is because there have been no documented side effects of any description. Helps with: motivation, socializing, fitness, cognition, neuroprotection, verbal fluency, vitality, anti-anxiety, confidence, fitness, focus, memory, mood enhancement. This substance also goes by the name of CDP-Choline. The main benefit that this option supplies is that it provides a boost to transmission across the barrier between the blood and brain. This will result in increased neurotransmitter production as well as the repair of any damage that might be present in your mental domain. Helps with: vitality, cognition, focus, memory, neuroprotection. IMPORTANT NOTE: It’s key to point out that the top brands incorporate several of these elements into their products. This results in something known as a “nootropic stack”, a concept that I will explain in greater depth in a short while. 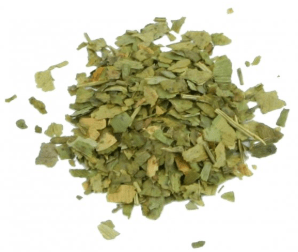 Sourced from the vast rain forests of the Amazon, this plant extract is somewhat of a star in its homeland. Containing powerful antioxidant and immune enhancing capabilities, it’s not hard to see why the previous sentence rings true. It rightfully has earned its nickname of the “Rainforest Super Herb”. This one originates from the leaves of the tree that has the same name. This tree is found in China and has been used for health purposes by the Chinese people for generations. It is superb at decreasing levels of anxiety as well as boosting the overall cognitive performance of an individual. 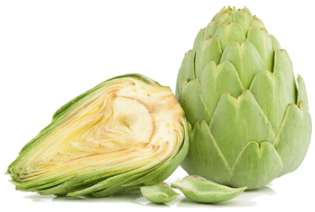 A more commonly known ingredient, this one is derived from the leaves of artichokes. A lot of research has been done on this particular substance which ultimately proves that it possesses strong neural antioxidant agents. Memory has also been known to improve with regular consumption of artichoke extract. Naturally occurring in green tea, this ingredient is also an amino acid. 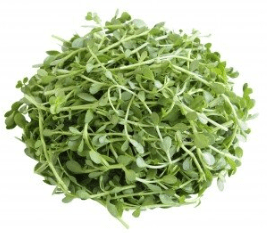 It is most famous for having the ability to reduce stress levels as well as perhaps reducing neurodegeneration. It is especially potent when mixed/stacked with caffeine. 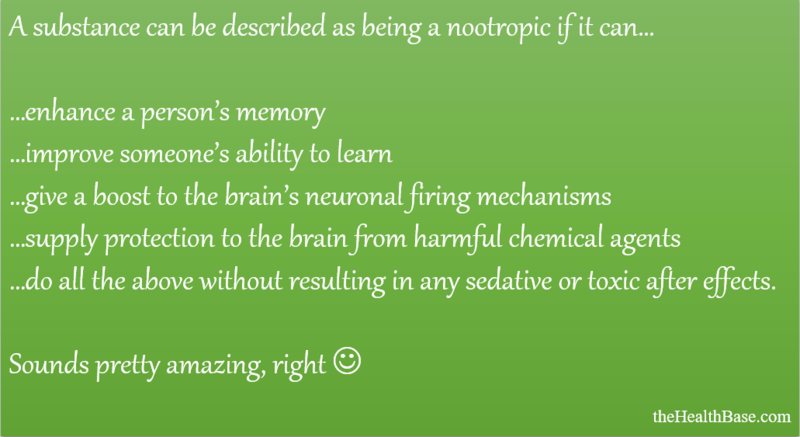 So, these are some of the most common and most valued nootropic herbs and extracts. Next, let’s look at exactly why they have earned their popularity. Well, this is the crux of the issue – the reasons behind why these brain enhancers are becoming such a mainstay in so many people’s lives. What makes these compounds so attractive? Are they worthy of this adoration or are they just the latest fad? These are the type of questions that you need to be considering if you are seriously thinking of trying out these supplements. Below are some of the main reasons where the popularity stems from, many of which I can attest to from my own personal experience. 1 – Take Back Control!! This is the key benefit that really attracted me to this niche in the first place. It’s also the main reason why I’m still taking these supplements to this day! Because of the capabilities of the compounds involved, these cognitive enhancers can help a person wrestle back control of their minds. There is nothing worse than waking up in a bad mood for whatever reason; or feeling mentally lethargic or lacking in motivation. Such days always feel like an opportunity wasted. The really annoying thing is that it’s very hard to understand why some days you’ll feel great and full of energy, while other times you’ll feel lifeless and completely unmotivated. This happens to us all, I accept this. What I don’t accept is that there’s nothing that we can do to limit these unproductive mindsets. I should know, because I’ve been successful in this regard – I’ve greatly limited the occurrence of these “bad days” by incorporating nutropics into my life. The above claim is achieved due to these supplements having the amazing ability of being able to help stabilize our moods and keep them in check. Coffee can do this to some extent, but that’s more of a quick burst of energy from the caffeine rather than the prolonged steady control that nutropics supply. Also, caffeine can be unpredictable and can result in a dip in energy levels after the initial high. This ability to somewhat control and regulate our moods then results in us maximizing our cognitive abilities. I very rarely wake up in a bad mood or without energy anymore, I’m usually pretty stable in this regard – something that ensures I can work and live at my optimum level for the vast majority of the time. As alluded to in the above section, this type of drug has the ability to allow you to maximize your output by giving you greater control over your energy levels and moods. This is super important when it comes to productivity. When we are working, such mental aspects like focus and concentration are vital if we are to achieve our goals. If we are lacking in one of these areas, then our overall efforts will be restricted. By sharpening our focus and strengthening our ability to concentrate, brain supplements are a great method of getting the best out of your work day. With regards to productivity, there is also a social element that must be examined. There’s nothing worse than talking to a friend or a loved one, or being out at a social event that’s meant to be enjoyable, yet you’re mentally bone tired or lacking in energy. Nootropics can give you that necessary mental sharpness which will help you enjoy such situations the way they are meant to be enjoyed. The above reason is often why these compounds are known as a “focus drug”. It’s not a great term in my opinion because these neuro supplements can supply so many more benefits than simply just focusing the mind. This is somewhat of an unheralded benefit that can come from these supplements. Regardless, it’s quite a strong one – I should know because it was an area of my life that really changed for the better when I started taking these enhancers on a regular basis. Now, I would never describe myself as a shy guy, past or present, but there have been times and certain social situations where I was quite self-conscious about what I said. I was wary about not making a fool out of myself and, even though I knew I could contribute to the ongoing conversation, I’d instead consciously take the decision to stay in the background. This isn’t a healthy way to be. We as humans need to converse so as to express and discuss views. Only by doing this can we learn and become better, more rounded individuals. I found that nutropics supplied me with the needed mental boost and stability that I required to be confident in any social setting. 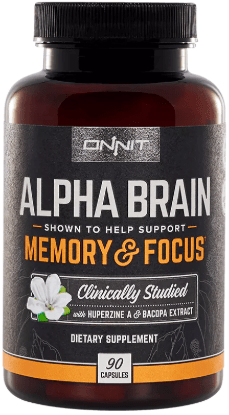 The supplement that I started taking helped to sharpen and focus my mind which had the effect of making my cognitive abilities noticeable more on point. This then resulted in my ability to formulate opinions in a far more coherent and concise manner to improve – something that is seriously lacking in the modern world. By ensuring that my mental state is both calm and sharp, I now feel confident enough to voice my opinion and engage in conversation with just about anyone, even if I'm seriously lacking in terms of information on the chosen subject…which happens quite often!!! Again, this goes back to the ability to focus one’s mind. In the modern world, there are distractions all around us. 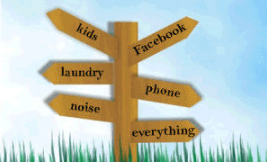 Technology has a serious role in this with computer games, apps, the internet, and social media being the four main culprits of distraction. How many times have you been in the middle of work, then suddenly had the urge to take a quick break in order to check something on Facebook or YouTube. You say to yourself that it’ll only take a minute or two…and then realize thirty minutes later that you’re still scrolling through your social media feed or looking at some movie trailers!! We’ve all slipped into this situation. 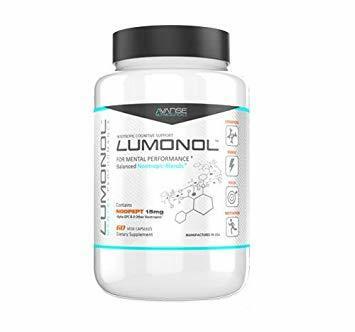 Because a top quality nootropic focuses the brain, this means that distractions of the mental variety are greatly diminished and pushed to the back of our minds. These urges to procrastinate are lessened as they become less insistent. I compare this to the feeling that comes with being “in the zone”. When you’re in this mental zone, you are at your peak. Nothing can distract you and it actually takes a serious mental effort in which to remove yourself from this optimal mindset. This is where we all want to be – mentally at our top level in terms of focus and concentration. These brain supplements are a great method of achieving this on a more regular basis. This ties back in with the confidence benefit that I was discussing earlier on. Part of being a human being is to have self-doubts and fears – this is something that is unavoidable. But this doesn’t mean that we cannot control the impact that these doubts and fears have on us. Some of these self-imposed concerns are justified, but there are also quite a lot of worries that are plain irrational and just completely unnecessary. Such things like fretting over what people might think about your choice of clothes, or hairstyle, or what car you drive, is complete nonsense! Trust me, people have a lot more on their minds to care in the slightest. 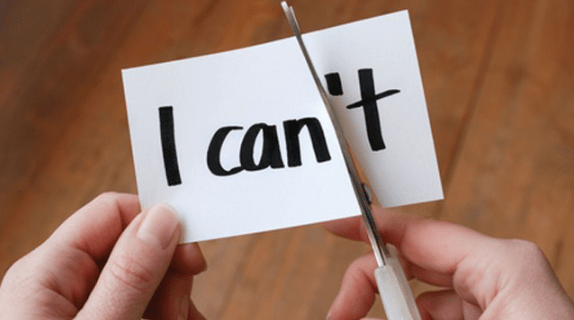 Having more confidence in yourself, and calmness present in your mental state, is an ideal way of silencing these petty and pointless self-doubts. A nutropic can supply this which is something that I believe is worth its weight in gold. Banishing such negativity from your mind will greatly increase your progress in this mad journey that we call life. Whether you call it anxiety, angst, uneasiness, or worry, we will at some point in our lives face moments where we are uncertain and perhaps even despondent. A massive factor in overcoming these moments, and to ensure that they don’t become something more sinister like depression or nihilism, is to possess a mindset that is clear and calm. By having this clarity, we can analyse what’s troubling us and work to alleviate the negativity. This is a productive way to be. As mentioned in the previous paragraph, many of our worries are brought about by inconsequential things that are built up in our minds to appear to be life altering in size. Having the ability to calmly dissect such worries is a sure-fire way of dealing with any worrisome issues in a proactive and ultimately decisive manner. A common misconception that occurs when it comes to this area is that there will be some sort of massive psychological effect. People often voice concerns of this type. Why? Because these supplements are drugs, and people often go a bit OTT when it comes to the debate of whether or not to use drugs. OK, so if you were to drink ten beers, or smoke a few joints of cannabis, then the effect will be quite noticeable with regards to your mental state. But what about taking two paracetamol tablets? Or smoking three or four cigarettes? There will be no effect on your mental state whatsoever. Alcohol, cannabis, paracetamol, and nicotine are all classified as drugs, just as nootropics are. Yet, only certain drugs will have severe and pretty instant effects on your mental state. The variety of brain enhancers that we're looking at in this guide are not one of these drugs. While the effect is indeed noticeable and trans-formative, it’s very much a subtle thing. You will not become a different person over night!! Instead, you will start to work mentally at your optimum levels. Elements like focus, memory capabilities, ability to reason, et cetera will gradually improve over time. The bottom line is that nutropics will not suddenly make you want to do Karaoke in front of a room full of people, as tends to happen to myself after a few too many beers!! The effects are far subtler in nature. A healthy mind is something that we all should aspire to have, yet, strangely, it’s often something that comes in second place behind the health of our bodies. I personally think this is because people are unaware and uniformed when it comes to mental health. A lot of people don’t even consider such issues like anxiety, lack of focus, or motivation dips as health issues. They think that these problems will sort themselves out in the long run once you achieve certain goals, or perhaps top yourself up with a coffee. This isn’t a particularly proactive nor healthy mindset to have. Think about it – our brain runs the whole show. The rest of our body is just reacting to whatever the brain tells it to do. This means that the brain should be the thing that we’re most concerned about it – it should be top of the list when it comes to our health musings. Brain supplements are a great way of boosting our mental health, as can be seen in the seven points that I’ve previously made. What’s more, they have the unique ability of stimulating the creation and proliferation of new neurons inside our brain. This is a key process when it comes to our brain’s ability to deal with symptoms and causes of anxiety and depression. Ok, so I’ve outlined the benefits that these amazing natural compounds can impart onto your life. Next, let’s look at some narrowed examples which you can possibly relate to. I’ve chosen these examples from my own past as well as relying on some stories that close friends of mine have shared with me. So, if you like what you hear then thanks, and if you don’t then you can blame my friends. Social gatherings of any description can bring on certain levels of anxiety and stress, depending on the type of person that you are and the size of the gathering. There are very few people who can walk into any room and be as comfortable talking to strangers as they are when conversing with close friends. Most people become more withdrawn so as to not draw attention upon themselves, while some even change completely in an attempt to fit in. Top cognitive enhancers can help combat this odd behavior by boosting your cognitive abilities. By becoming more confident in your ability to think on the spot and generate coherent conversation, this will automatically result in you being more at ease in any social setting. Is there anything more daunting then getting up in front of people and talking at length on a certain topic? Even if it’s only for five or ten minutes, this process can be a really intimidating ordeal. It’s no surprise that the majority of people absolutely dread the very idea! Now, I’ve been through my fair share of presentations, from my time in college to my career, but I can honestly say that I’ve never fully gotten comfortable with this process. Yes, I’m far better now than I was in the beginning, but even to this day I still get quite nervous, regardless of whether or not I know my presentation information inside out. I can honestly say that the supplements I took helped me with this particular issue. By supplying calmness and focus to my mind, I was able to remember the information more clearly as well as being able to get my points across in a coherent manner. Study and preparing for examinations are mentally taxing endeavors – very few people derive much pleasure from such tasks. It can be easy to procrastinate or allow the nerves and tension to disrupt your pro-activeness. So, wouldn’t it be great if there were certain drugs that could help you focus? Well, this is where a brain supplement can be a tried and trusted tool. These compounds have been scientifically researched and proven to help the mind focus on the necessary task at hand. Pills that help with memory would also be a welcome thing, no? Especially with regards to studying for examinations where short term memory is the life saver of all students! Nutropics can also help with memory by boosting your ability to absorb and retain information. This is something that is relatively new within this niche, but it actually makes a tonne of sense. We’ve all been in the situation of it being time to train but we simply haven’t the energy nor the motivation. This is especially prevalent after a hard day’s work – it can just be so hard to find the drive to go and do an hour’s session in the gym, or to go out for a run. Now, a lot of people in this position turn to caffeine/taurine options such as a strong coffee or a pre-trainer. Another option, one which is getting increasingly popular, is the use of neuro enhancers. There are certain compounds that are brilliant at delivering a quick blast of mental clarity and focus – two things that are vital when it comes to motivating your mind. By supplying this focus and clarity to your mind, and giving it an energy boost to boot, the makes the thoughts of a training session seem far less daunting. Human creativity and ingenuity is a marvel. The ability to write a story, or create a song, or paint a picture, all from one’s imagination, is something that is rightfully treasured all around the world. However, being in a creative mindset can be a fleeting occurrence – coming and going at apparent will. But what if there was a way to harness this creativity on a more regular basis? Nutropics could be the answer for achieving just this. I’ve already discussed how powerful these compounds are, being commonly known as brain focus pills for a very good reason. The ability to have cognitive sharpness would greatly improve your chances of being creative on a more regular basis. This is something that every artist or creator craves. Unfortunately, there are quite a number of different ailments that can affect our cognitive abilities. The two major ones that come to mind are Alzheimer’s and dementia. There is a tonne of research that still needs to be done into the area of cognitive supplements and brain disorders, but the signs at the moment are very promising. There is definitely a link to these compounds aiding in the brain’s ability to both remain working at optimal levels for as long as possible, as well as its capability of combating degenerative ailments. While it is possible to get more exotic options like nootropic coffees, the more common form produced by the leading brands is nootropic powder or capsules. This makes perfect sense as these two variations are by far the easiest ingestion methods. To make a nootropic drink, all you have to do is mix a bit of the powder into a pint glass. Capsules as well are just as easy to incorporate into your daily routine. As I mentioned in an earlier paragraph, the leading brands chose to mix/stack different options in order to create the most powerful and beneficial supplements possible – the result being known as a stack. Below, I’ll briefly explain why this is the chosen option. 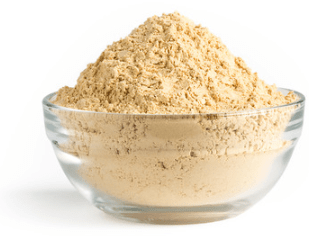 Ever since the power and benefits that these supplements can supply to a person’s well-being were first discovered, the focus quickly moved onto how to maximize these benefits. This is human nature – we are always striving for perfection. When it comes to nutropics, it took quite a while to figure out that if you mix and match different types then it can cause the positive impacts of the individual elements to be greatly boosted. This is known as “stacking”, where two or more varieties are combined to create a super beneficial product. The whole trick behind stacking is to first of all figure out what you want your stack to deliver. 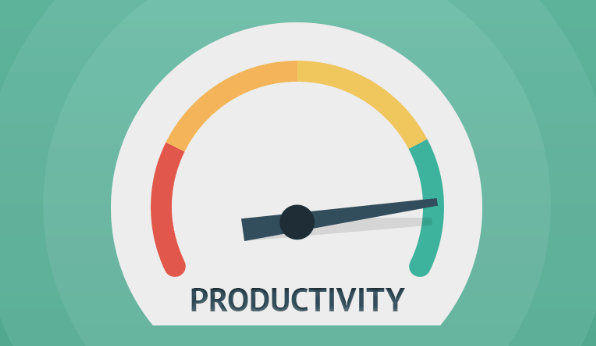 Do you want to become more focused in your work? Do you want a steady burst of creativeness in your chosen art? Do you want to become more cognitively sharp in social situations? Perhaps you want all three! What you want from your stack will then determine which option you should go for. Luckily, there are numerous top-rated brands that deliver a stack that encompass all the cognitive issues that you’re looking to improve upon. When it comes to this type of stack, there are usually four key elements that are used – these being piracetam, aniracetam, phenylpiracetam, and noopept. These four work well together when mixed correctly. These four options can all be mixed together or else in twos or threes. It all depends on what you’re looking to achieve with your stack. The magic behind a racetam stack is that the combined elements work to increase the power of each individual element, such is the brilliance of the stacking technique. These two are most commonly combined because they actually subdue each other’s side effects. 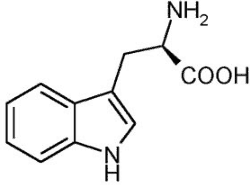 Tianeptine is brilliant at boosting moods but has been known to cause drowsiness, while adrafinil increases mental energy which thus works to counter the potential drowsiness of tianeptine. This combination is a perfect example of the massive benefits that can be gained by stacking. As I’m sure you’re aware of, caffeine is the most commonly used mental stimulant in the modern world. Whether it be tablets or liquids, huge amounts of caffeine are ingested on a daily basis all over the world. However, too much caffeine, or even having it too regularly, can have negative impacts on our mental state. Anxiety and over tiredness are two such impacts. L-theanine is a substance that is a natural anxiolytic that works splendidly to lower these caffeine related side effects. There have been test cases done where the results have indicated that a racetam stack might bring about mild headaches. The prevailing theory for this happening is because a racetam stack causes the body’s natural store of choline to deplete somewhat. This is why a racetam stack often includes choline in its formula, so that the natural choline store in your body will be replenished. This will negate the minimal risk of headaches occurring. This a stack that I myself have successfully tried to create. Though, in saying this, I tend just to buy a similar stack nowadays – it’s far less time consuming and actually cheaper than the DIY option. However, if you’re looking to experiment with your own stack, then adding these three elements is a great shout. This particular option is best described as being an all-in-one stack as it supplies a whole host of cognitive boosting impacts. Focus; motivation; memory; and anxiety levels can all be positively affected by this combination. I must point out though that this stack is more of a long-term option – it could take three or so months for the real effects of this version to kick in. This is the main reason why this stack type isn’t really suited for DIY. Imagine going to the effort of creating this stack, then after 10-12 weeks not really seeing any results. Annoying! 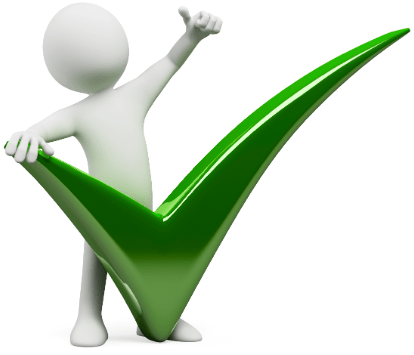 At least with a top branded stack you’ll know that definite results will show themselves within a certain time period. From my own personal experience, I’m fully aware of how tricky it can be to get a homemade stack right. It can be very hard to judge if your attempt has been successful or not. 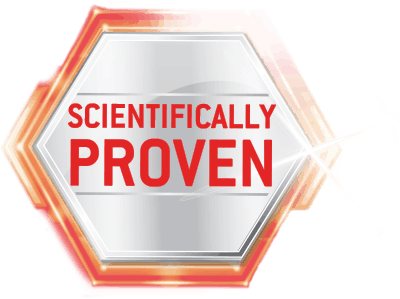 This is where buying proven brands obviously has the edge – they’ve been scientifically tested in laboratories as well as being quality proven in the marketplace. My honesty advice would be the following: if you are new to this niche, then stick with one of the top brands until you learn a little bit more about them. It can be fun trying to create a DIY stack, but if you’re unfamiliar with the different options and the effects that they have on you, then it’s very hard to manufacture a version that comes anywhere near the quality and reliability of the stacks supplied by the top brands. 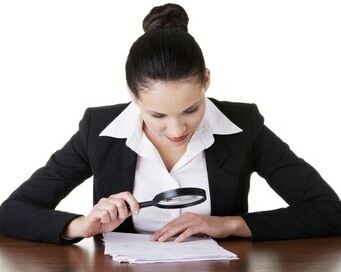 As with every product or treatment that you’re looking to avail of, it’s prudent to do a bit research and background checking just to see if there have been any issues with either the product or perhaps even the brand. Some brands, usually the leading ones, will be upfront and honest if their products have any potential side effects. They do this because they are very conscious of creating and maintaining a healthy, trustworthy brand image. However, there are other brands and companies who do not share this approach. Therefore, the onus really does lie on you to root out any potentially issues. When it comes to the possible nootropics side effects or risks, I used my own personal experience as well as the multitude of reviews and testimonials that can be found online. After compiling and categorizing the above, I found that some common warnings and myths were consistently popping up. I’ve listed and explained them in the below section. When it comes to any supplement, the ingredients used in the formulaic process stage are absolutely paramount. These ingredients need to be pure and used in correct dosages if the resulting product is going to be both effective and safe. Now, this isn’t an issue with the leading brands. As mentioned before, they are far too concerned about their brand image to take short cuts with ingredients. However, on the other end of the spectrum , smaller brands have often decided to take the lesser ethical option. By this I mean that they take shortcuts with their ingredients. In an effort to maximize their profits they will cut corners in the production process by not using the correct ingredients and/or including filler ingredients instead. The above is disastrous when it comes to cognitive supplements as this type of product is completely dependent on the purity and naturalness of the ingredients used. Any shortcuts will result in a vastly inferior product. This is a lead on from the previous warning. Unfortunately, as is with every niche, there are going to be brands and companies that firmly place making profits over any type of ethical behavior. They are too concerned with their balance sheets to really care about the well-being of potential customers. This is a shame but it’s part and parcel of the market place. When it comes to nutropics, some of these dubious brands choose to incorporate certain elements into their products that shouldn’t be there. These elements have no health benefits whatsoever and can actually lead to problems if ingested continually over a sustained period. An example of two such elements are magnesium stearate and silicon dioxide. These two chemicals are synthetic in origin and are only included as makeweights for the lack of proper ingredients. Not good, not good at all. 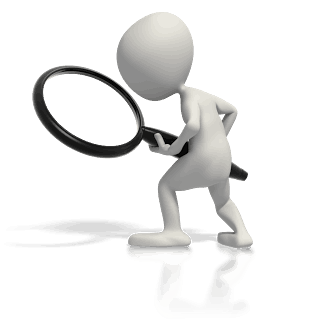 The question therefore is what is the best way to spot the brands that are using dubious ingredients. Well, I’ll go into this in a short while but there are steps that you can take to negate the risk of buying dodgy supplements. However, this should not take away from what these supplements can actually provide. I’ve already gone through the many uses and benefits that a quality stack can deliver into your life. The evidence is quite strong and is there for everyone to see. I personally stand by these products and firmly believe that they are a key tool in maximizing your cognitive capabilities and mental health. I’ve added this in because there are a lot of people who are worried about potential side effects when it comes to these products. They hear that these enhancers can alter the human mind and, understandably, they straight away think of the possible adverse reactions that might occur. - My own personal experience is stellar. I’ve used a whole host of different single and stack types and brands and have yet to have a bad reaction. Some were ineffective in my opinion, but the majority had positive effects that I hugely benefited from. IMPORTANT NOTE: I do feel the need to point out that products high in caffeine high will have a considerable impact on your focus and motivation. This means that it’s not the best idea to take such a variety late in the evening or at night time…unless you’re planning on having an all nighter! I did actually do just this in my college days. Worked a treat. This is a concern that constantly pops up when this topic is being discussed on online forums or in social gatherings. Some people are absolutely convinced that brain pills are addictive. Why? Because they are drugs of course!! I already touched upon the whole “drug” misconception in an earlier paragraph but it’s worth repeating such is the false knowledge that pertains to this issue. A lot of people automatically think two things when they hear the word drugs – they’re harmful and they’re addictive. Yes, some are, but most aren’t! This is actually one of the most beneficial aspects of using this supplement type; the fact they are not dangerous as well as possessing very little risk in terms of addiction. 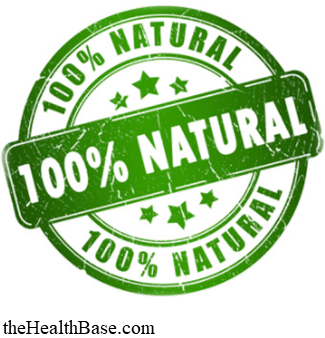 They are healthy, all-natural substances – it’s as simple as that. I’ve been using a whole host of different stacks for quite some time now and have had no issues with addiction, but I have read some stories of people becoming somewhat dependent on these drugs. Personally, I believe this comes more from said individuals being addicted to the results, or having an addictive personality, rather than the actual supplement in question. Now, in comparison, smart drugs are indeed addictive, but these are not to be confused with nootropics. I’ll discuss the difference between the two in the next section. This myth could very easily be included in the warning category as well. Under no circumstances should brain supplements be seen as something that will cure or speed up the recovery from any given certain ailment. I cannot stress this enough. Yes, a quality stack can indeed help with a whole host of medical issues, but they should always be used in conjunction with medicines and treatments subscribed to you by a doctor or a medical professional. It is quite possible that someday soon these drugs will be seen as being a medical alternative, but that time is not now so it’s better to play it safe. Instead, you should view this options as a method of boosting an already healthy body and mind. They will help to maximize your cognitive abilities and increase your mental health, just as they do for me on a daily basis. This is quite a common one. People have a tendency of seeing things in a binary fashion – either something works perfectly, or it doesn’t work at all. When it comes to this niche, it’s really not as simple as this. Due to the fact that we are all very different, with varying brain chemistry, it’s a bit silly to think that a cognitive supplement will have a universal effect. The results, because of the very nature of these supplements, will vary from person to person. I’ve taken stacks that I’ve seen no discernible effect from, yet a friend of mine swears by its effectiveness! And visa versa. 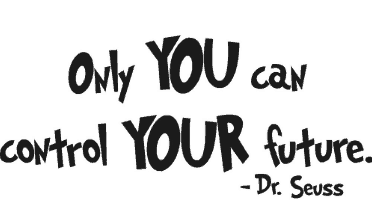 The trick lies in trying to locate the option that works best for you. This takes a bit of experimenting on your part, but it’s absolutely worth it in the end. This is one that often amuses me, even though there is a serious debate that needs to happen when it comes to professional sports. Body enhancing supplements are illegal, so should mind enhancing supplements also be banned? It’s definitely an interesting topic that is rapidly becoming a contentious issue amongst the leading sporting bodies around the world. My amusement stems from the fact that some people think that brain supplements should be banned from everyone’s lives, even non-professional athletes. This is quite honestly ridiculous and only goes to show that these protesters don’t really understand the issue that they’re objecting against. If you want to take a supplement that will enhance your ability to function in the work place and in general society, then why shouldn’t you be allowed? Again, more fear mongering which is uncalled for and unfounded. The same people who think cognitive supplements are unfair also often call them dangerous, even though there is no concrete evidence for this line of thinking. As I’ve mentioned before, people often go a bit crazy when the word “drug” enters a conversation. They instantly link the word to negative connotations. Now, of course, there are drugs out there that are harmful, but there are also tonnes that aren’t. The countless medicinal related drugs for example. If you are wary about trying these supplements because of the drug label, then a good rule of thumb is to stick to the top-rated brands and also to not go shoving copious amounts of pills/powder into your body every hour. If you follow these logical rules, then these supplements will be perfectly safe. Just like a cup of coffee, aspirin tablets, or a bottle of beer cannot harm you, brain enhancement options pose no threat if used in a constructive and mature manner. On the other end of the spectrum are the people who advocate that you make your own supplements from the comfort of your home. I find that these people are bit too zealous. DIY stacks are a very tricky thing to get spot on, though it is possible. I’ve mentioned the importance of using correct ingredients – both in terms of the quality and the mixture. This is where the DIY enthusiasts often go astray. A lot of science and research goes into creating the top brands. Such things are not available to the majority of people which makes the overall task very difficult to get spot on. Also, you can never really tell if your DIY concoction is effective or not. They are often subtle in their impact on the human mind, so, if you wake up one day full of energy and motivation, was this due to your DIY attempt, or was it just because you had a good night’s sleep? It can be a bit of a guessing game. At least with the leading brands you know that the ingredients and the mixtures have been scientifically tested and measured. Basically, you’ll know exactly what you’re taking and what the results should be. It removes the guessing game. If you do any kind of research or general inquiry into this area then you’ll soon get confused by the mention of smart drugs. Some brands market their products as “smart drugs”, something that is not only inaccurate, but also potentially harmful. Why? Well, because nootropics and smart drugs are two very different things. The latter usually come from pharmaceutical origins and contain substances that can be addictive. Such compounds are completely different to the all-natural cognitive enhancer. You see, the hallmark of a quality brain supplement is that they have few if any side effects; they are not toxic to the human body if taken in a responsible fashion; and, most importantly, they do not have a withdrawal factor once treatment is stopped. Smart drugs, on the other hand, have pronounced side effects; can indeed be toxic to your body; and most definitely have withdrawal symptoms when the treatment reaches its end. So, you can see now why describing a nutropic as a smart drug, and visa versa, is not only completely factually incorrect, but also it can be quite dangerous. This is why I felt the need to hammer home the difference between the two – the last thing I want is for you to read this guide, think that stacks are brilliant and completely safe, and then go out and start lumping smart drugs into your body!!! Yikes. While there are tonnes of smart drugs in the market place today, there are a select few that are often incorrectly grouped with nootropics. Below I’ve outlined these common smart drugs and some of the adverse side effects that have been attributed to them. - This smart drug is used for sleeping issues. It is a wakefulness agent that greatly improves your sleeping patterns and sense of alertness when you’re awake. - Some possible side effects: skin bruising, muscle weakness, fever, sore throat, skin rashes, sever blistering, skin peeling, vomiting. - This is actually the brand name for this particular drug. Adderall consists of two different compounds, they being amphetamine and dextroamphetamine. With regards to its usage, this smart drug is most commonly employed as a prescribed medication to help people who suffer from AHDH (attention deficit hyperactivity disorder). - Some possible side effects: high levels of addiction, hair loss, loss of appetite, insomnia, headaches, blurred vision, nausea, fever, weight loss, hypertension, tachycardia. …are used to treat serious medical issues of a mental nature, such as ADHA, insomnia, and narcolepsy. ...are categorized as nervous system stimulant drugs. Because of their strength and non-natural nature, a whole host of side effects go hand in hand with these treatments. ...are all-natural compounds that are used to enhance the cognitive abilities of a person which will ultimately also help with mental health and productivity. 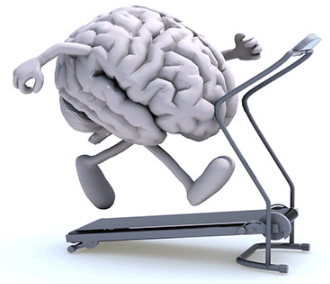 ...work to protect and support the brain as well as boosting its performance. ...possess side effects and negative elements that are minimal and not consistent. Two common questions that often encircle this niche are the following – How much can I safely take? And how often can I take them? Though, in all honesty, these are two questions that you should be asking yourself when it comes to any type of supplement or treatment. These questions can actually deter people from using these brain pills as they are worried that they’ll overdo it. This kind of puzzles me. By simply applying common sense and not being reckless, I don’t really see how you could overdo it. It’s not like you’re going to go out, buy a stack, and then proceeded to smash the whole lot into you ASAP!! All of the leading brands supply information with their products with regards to the daily recommended amount. There is also a wealth of information available online regarding this issue. Look, as always, common sense is needed and will serve you best with these questions. Just as you wouldn’t start hammering aspirin into you, you’re not going to suddenly take a massive amount of any given substance for no reason. The key, as is with any supplement, is understanding what amount and what frequency best suits what you’re trying to achieve. Figure this out and there won’t be any issues. The best thing to do is to adhere to the brand’s recommendations to begin with. Then, if you want, you can start tweaking it to best suit your needs. I’ve done a fair bit of experimenting with these products and so far I’ve yet to have any problems. The internet is a brilliant tool, we all know this. 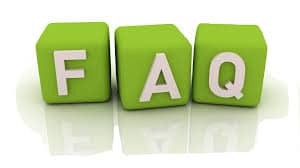 Type in any question or topic into one of the search engines and you’ll receive a plethora of information from hundreds of different sources. However, this brilliance is also a rather big problem – there is simply too much information! Too many sources and no real way of discerning the best advice. 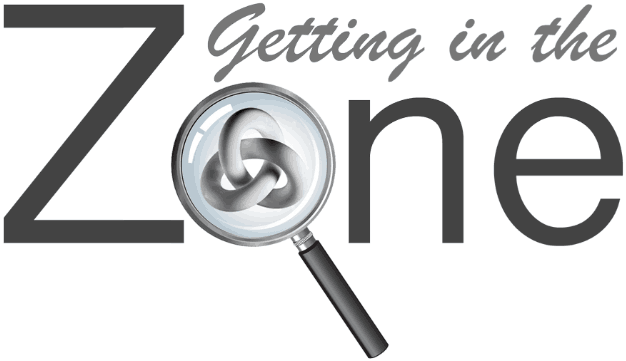 When it comes to figuring out the best practices, it can be super helpful as well as super confusing reading through the mountain of advice located online. So, while I always recommend that you do a bit of research, I do acknowledge the tedious and sometimes hopelessness nature of this task. For what’s it worth, I’ve decided to include what I believe are the best practices as discerned from my own personal experiences. If you are on other medication then it’s always prudent to check with your doctor before starting a round of these supplements. The chances are that there won’t be any issues, but it’s good to be safe rather than sorry. In order to fully acknowledge the difference that any given product is having on you, it’s a good idea to keep a small journal noting your progress. This way you can look back and see which stack is having the most positive impacts and which ones don’t seem to be working. This is also a handy way of knowing if you need to up your daily intake. 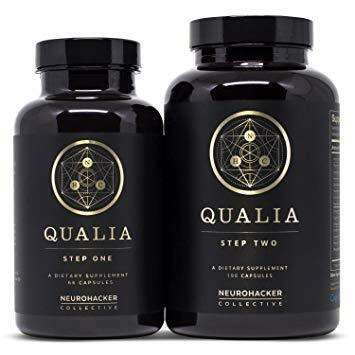 I’ve already explained how the leading brands incorporate multiple different ingredients into their products – this is known as nootropic stacking. It’s a good idea to start with just one of these stacks rather than buying 2 – 3. This is key to understand. These are supplements and should be used to enhance an already healthy lifestyle. Supplements should never be seen as being replacements – they are designed to be used in addition to healthy life choices such as a clean diet and regular exercise. The human body is an amazing piece of organic machinery. It is constantly adapting and evolving when faced with external factors. It’s common knowledge that our bodies become tolerant to whatever drug we are taking which makes that drug far less effective in the long term. The best way to deal with this is to either cycle your intake or to take a break from them now and again. This will negate the risk posed by tolerance. I’ve explained how these supplements are not known to be addictive in nature as they don’t possess the chemical attributes that are found in smart drugs. However, it is possible that you might become somewhat addicted to the results they provide which could then lead to a dependency issue. To avoid this, simply be aware of your intake and the effect it’s having on you. This is a similar problem to having too much coffee – if you’re drinking coffee every hour then you should know that something is up! Time to ease off. As I’m sure you’re aware, when it comes to finding the right product for your needs half the battle lies in locating a trustworthy and quality brand. If you don’t trust a brand, or if it has a bad reputation, then how could you possibly trust their products? I’ve used several different nootopic brands and through these experiences I’ve narrowed down the key areas that you should be focusing on when it comes time to purchasing. I’ve outlined these areas in the following sections. 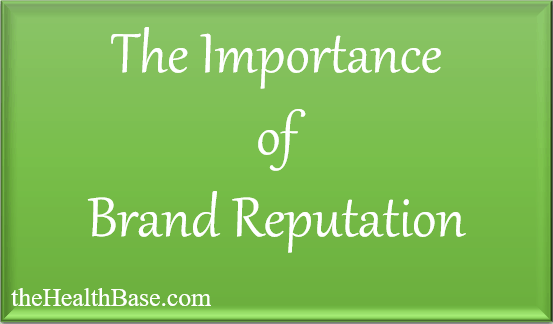 What I mean by this is that it’s important that you’re cognitive of the reputation of the brand from whom you’re looking to purchase – both with regards to their product related reputation as well in a general sense. When you buy a product, you want to feel that the brand that lies behind has done its level best to supply the best product possible. With regards to cognitive supplements, this means that the ingredients and packaging are top level. This can be easily asserted by looking at some reviews – if a product is lacking in some department then you can bet there will be reviews outlining the problem. Furthermore, you also want to be buying from a conscientious brand. If the brand is lacking in morals, ethics, or basic practises, then you can be sure that this will translate into a deficient product. Such companies will take short cuts, of this you can be sure. Again, reviews and testimonials are the way to gauge whether a brand is conscientious or not. I’ve already covered this in other paragraphs but it’s worth repeating that the ingredients and manufacturing process are key if a quality nutropic is to be created. In order for such a product to come to fruition, there needs to be serious testing done – this is doubly true when it comes to supplements. The scientific element of the product needs to be top level and so the proper technicians and equipment are needed to ensure that this happens. 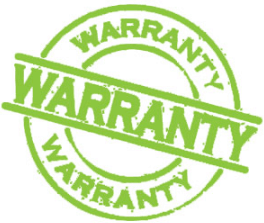 Warranties, or money back guarantees, are something that we at the Health Base always emphasis. The reason for this is simple – it’s always preferable to have some sort of protection when it comes to buying a product or availing of a service. The majority of top brands do not hesitate in offering warranties. They have done their due diligence with regards to product creation, so they have faith that consumers will be happy with their purchase and won’t be returning items in their droves. The absence of warranty or a money back guarantee shouldn’t necessarily be seen as a deal breaker, but it’s definitely something that should make you pause and ponder. As I’ve mentioned throughout this guide, using real user reviews and testimonials are a great way of weighing up the different options that are out there. Nootropics supplements reviews aren’t particularly hard to find, there are literally tonnes of them! One prime example is the reddit nootropics reviews that are available in online threads. Having the ability to easily read other people’s experiences with a certain product is a massive benefit that the internet has given society. So, make use of it! Now, I’m sure you’ve heard the “horror” stories of fake reviews being posted online in order to gain sales or to tarnish a brand’s reputation. This, unfortunately, is indeed a tactic that is used, but it’s important to keep in mind that this is the case for only a minority of online reviews. The vast majority of testimonials that can be found on the web are from people like you and I – people who are looking to leave genuine verdicts on a product or service so that others can benefit. When it comes down to it, this is the all important question...where is the best place to buy nootropics? Where can I get the best product for the best price? Personally, I choose to buy them online. I have always done it this way just because I find it the most convenient method. I’ve tried to locate some physical stores that supply the option that I’m looking for, but it can be very difficult. Because these products are very much in their infancy in terms of the mainstream marketplace, a lot of health and fitness related chains don’t really stock them, or certainly don’t stock a large selection. This will change though as cognitive enhancers continue their growth. However, until that happens, my recommendation is to buy a stack from the official website of the brand that catches your eye. The added benefit of this is that these sites often run promotional deals or offer discount coupon codes. I’ve no problem admitting that I’m always on the lookout for these bad boys. A natural substance that has positive impacts and benefits on your mental state. They have been proven to work on numerous areas of your consciousness – including with sleep issues; anxiety levels; focus; motivation; socializing; mood enhancement; memory; self-confidence; vitality; neuroprotection; and many more such areas. If taken in a reasonable and responsible fashion then yes, they are very safe. Where to Buy for the Best Price? Personally, I think the best place is to purchase your supplement from your chosen brand’s official site. This guarantees that you get exactly what you’re looking for as the middle man is cut out. This wholly depends on what benefit you are looking for. There is no option that is better than another one – they all simply have different impacts. For alternative options we recommend checking out Athletic Greens, a great all rounder option. Will These Pills Make You Smarter? They won’t boost your IQ, but they will ensure that you are working at a cognitively superior level – this will give the impression that you have indeed gotten smarter. In one word – absolutely . This market is growing at a steady rate every month and shows no sign whatsoever of slowing down. And why would it? These supplements are amazingly helpful for a whole host of different reasons and purposes, as I’ve outlined in this guide. The really great and exciting aspect about this topic is that there is so much potential yet to be tapped into. I personally think that everybody could benefit hugely from using these cognitive supplements on a daily or weekly basis. They are relatively cheap; easy to get; even easier to use, and they are 100% natural. What’s not to love? 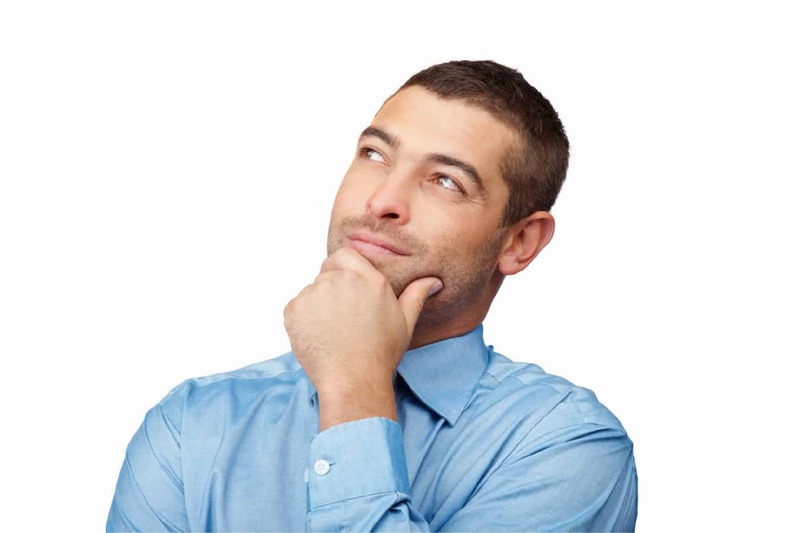 I guess the only question that’s left to ask is…are you ready to maximize your cognitive capabilities? If the answer is yes, then make sure you check out the top brands that we’ve looked at. 2. “Aniracetam – Scientific Review on Usage, Dosage, Side Effects.” Examine.com, Examine.com, 29 Apr. 2017, https://examine.com/supplements/aniracetam. 4. Stamets, Paul. “Lion’s Mane: A Mushroom That Improves Your Memory and Mood?” The Huffington Post, TheHuffingtonPost.com, 8 Aug. 2012, http://www.huffingtonpost.com/paul-stamets/mushroom-memory_b_1725583.html. 6. 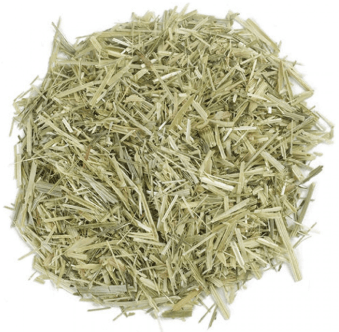 “Huperzine A: Natural Memory Remedy? – Ask Dr. Weil.” DrWeil.com, Dr. Weil, 14 Feb. 2017, http://www.drweil.com/vitamins-supplements-herbs/supplements-remedies/huperzine-a-natural-memory-remedy. 8. Froestl W, Muhs A, Pfeifer A. Cognitive enhancers. Part 1: drugs interacting with receptors. J Alzheimers Dis. 2012; 32(4):793-887. https://doi.org/10.3233/JAD-2012-121186. What is the Correct Alpha GPC Dosage? Ciltep Review – Does It Live Up To Expectations?